Jack Spalding (AB/AB ’13) wants all students to have the same opportunities he had. Jack Spalding (AB/AB ’13) is the Research Director for U.S. Senator Tammy Baldwin’s re-election campaign. Jack comes from a long line of devoted UGA alumni. He gives to the Georgia Fund, which provides scholarships for students, and the History Fund. As a sixth generation Georgia Bulldog, Jack Spalding’s love for the University of Georgia runs deep and wide. 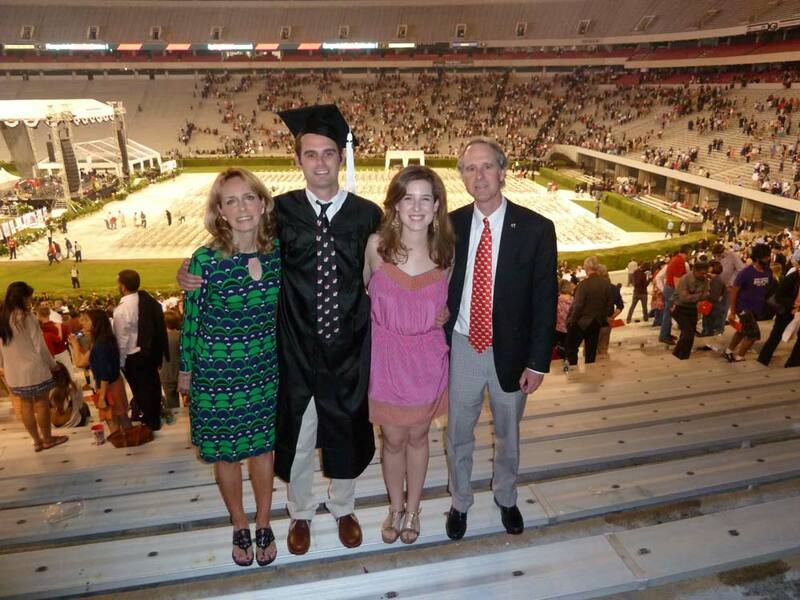 He chose to continue the tradition because, as he says, “It’s in my blood… it just made sense.” It continues to make sense as he reminisces on his time at UGA, which he considers the best of his life. He fondly recalls memories of driving long hours in an RV with his friends to see the 2010 UGA-Kentucky football game in Lexington and, more recently, having the opportunity to watch the historic 2018 Rose Bowl in Pasadena, California, with his father, a fellow alumnus. After graduation in 2013, Jack landed in Washington, D.C., at a political research firm. While there, he used his professional network to hire student interns from UGA. “It was really cool giving back, and using my own connections,” Jack said. As a Third Pillar donor, Jack also gives to UGA with his annual gifts. Since graduation, he is a consecutive donor supporting scholarships through the Georgia Fund and programs in SPIA and Franklin. The University of Georgia holds a special place in his heart, and he believes that the people of UGA are some of the best out there. As the Research Director for U.S. Senator Tammy Baldwin’s re-election campaign, Jack knows the meaning of hard work. “The work never stops,” said Jack. 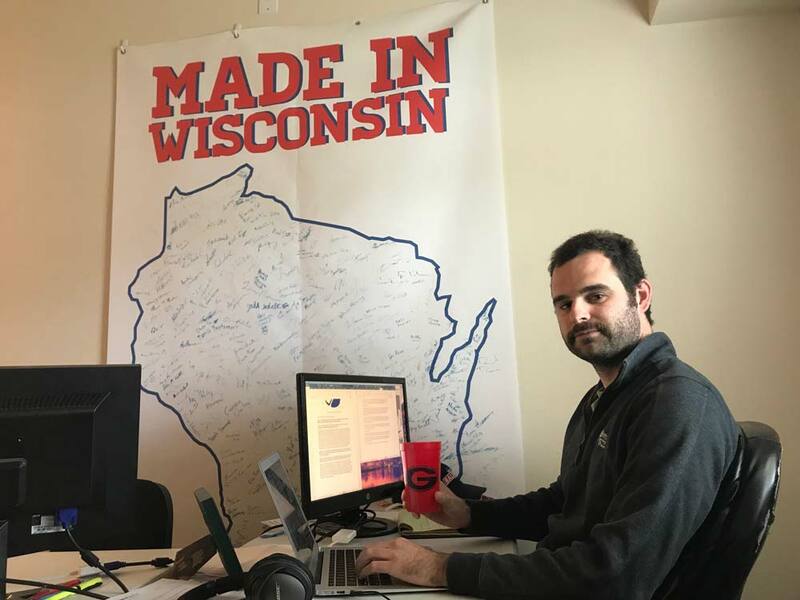 “Once you sign up for a race, you kind of sign your life away.” Currently based in Madison, Wisconsin, he works long and odd hours ensuring his team covers all the bases for Senator Baldwin and the campaign team. Although Jack was always interested in public affairs, he discovered the world of research in college. Now, as Research Director, Jack is able to use his experience and insight to teach others on his team how to research. For him, it’s the most rewarding part of his job: helping others become the best they can be, just as his professors did for him. Jack showing his UGA pride. Jack at his graduation in 2013. Jack owes it all to his beloved history professors and the memories made at UGA. He gives to the History Fund and the Georgia Fund to provide opportunities for deserving students to learn from and be face-to-face with UGA’s world-class faculty. His professors and the history department impacted Jack in a meaningful way, and he hopes that by supporting the department, other students will be able to experience what he did.